Jill Marsteller was a high school and college English instructor prior to serving as a higher education administrator in the 1980s. She has been a C-Suite member since the early 2000s. As both a staff member and leader of comprehensive campaigns at her alma mater Ursinus College, Lehigh University, Haverford College and The Fox Chase Cancer Center, she has helped these institutions collectively raise close to $1 billion. During her tenure as Vice President at Lehigh, Haverford, and Ursinus, the institutions each received their largest gift in history at that time. Jill has expertise in fundraising, marketing and communications, Board leadership, evolution and Governance, healthcare, and science and cultural program development and advancement, and is well-known for her ability to build and manage high-functioning teams, while being an essential philanthropic “rainmaker” herself. She served as a leader/partner in overseeing the creation of both the Berman Museum of Art at Ursinus College and the Zoellner Arts Center at Lehigh University. She brings a deft and highly personal style to functions that require both art and science and is especially motivated to achieve goals in a timely manner. Her consulting work began in the 1990s and her clients include: Western Connecticut State University, Ursinus College, The Haverford School, The World Trade Center Foundation, The Chemical Heritage Foundation, and, most recently, The Knowles Foundation, The Williamson Free School of Mechanical Trades, Earlham College and The College of Physicians. She is the Founder and CEO of CALICO International, LLC, CALICO standing for Creative Advisors Looking to Improve Charitable Organizations. She has served or is serving on the Boards of the YWCA, The Perkiomen School, The Philadelphia Scholars, and Bear Creek Camp. She was a founding director of the Women EXCEL program of the Pottstown area YWCA and helped create and launch the first Parents’ Program at Albright College, which she chaired for three years. She twice co-chaired the National Council for Advancement & Support of Education Winter Institute for Chief Advancement Professionals. Her life has been and continues to be devoted to her passion: the advancement of non-profit organizations. Thomas R. Tritton is a Senior Fellow at the Chemical Heritage Foundation and a Visiting Scholar at the University of Pennsylvania. 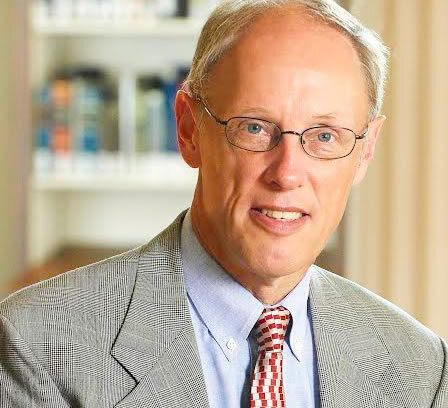 He is former president of Haverford College, and former president and CEO of the Chemical Heritage Foundation, an organization headquartered in Philadelphia as a library, museum, and center for scholars. Prior to joining CHF he was President-in- Residence at the Harvard Graduate School of Education. He was also a professor of Pharmacology for twelve years each at Yale University and the University of Vermont. At UVM he served as Deputy Director of the Vermont Comprehensive Cancer Center, and as Vice Provost of the university. He is currently Chair of the Board of Trustees at Ohio Wesleyan University, a member of the Corporation of Haverford College, and member of the Boards of Directors for the Fox Chase Cancer Center, the Greater Philadelphia Life Sciences Congress, and the Center for the History of Science, Medicine, and Technology. In addition, Tom is a scientific advisor to Sefacor, a biotechnology company developing cures for brain cancer, and a senior consultant in CALICO, a consulting firm that provides advice and counsel to nonprofit organizations. Scott brings to the firm more than 37 years of leadership experience in strategic development and fundraising. His background as a fundraiser, small business entrepreneur and consultant brings a dedicated focus to the mission and the bottom line. He has held senior leadership roles in the higher education, healthcare, international development, and policy sectors. Scott understands the numerous challenges that confront the non-profit arena. Steve has served as the Director of Gift Planning at Haverford College since 1988. During his 28 years at Haverford College, he has solicited and closed numerous life-income gifts, will provisions, and other planned gifts for the College. He has served on the Board of the Greater Philadelphia Planned Giving Council, as well as mentoring new staff members into the field of planned giving. Prior to his work at Haverford, he worked in planned giving at Drew University in New Jersey and Drexel University in Philadelphia. He has worked as a professional fundraiser since 1979. Catharine McGeever has been a member of the Lambert & Associates team since its inception in 1996. She is responsible for working directly with clients and managing all aspects of the search process. With over 20 years of experience in the executive search industry, Ms. McGeever’s background includes search execution and management for a broad spectrum of non-profit organizations. Lambert & McLean Co., a national healthcare executive search firm. Ms. McGeever is a member of the Council for Advancement and Support of Education (CASE), Association of Fundraising Professionals (AFP), Association for Healthcare Philanthropy (AHP) and the Association of Executive Recruiters (AER). She received her BS degree in Psychology from Villanova University. Copyright 2018 CALICO International, LLC. All rights reserved.